I have just spent a week staying at Riva on Lake Garda. I took with me some books written by George Orwell. 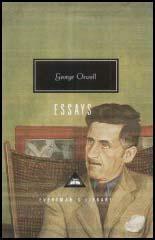 This included The Collected Essays, Journalism and Letters of George Orwell: 1920-1940 (1968). One of Orwell's major concerns, during the 1930s, was similar to those facing the left during the EU referendum debate. Over the next few years he published three novels, Burmese Days (1934), A Clergyman's Daughter (1935) and Keep the Aspidistra Flying (1936). The books did not sell well and Orwell was unable to make enough money to become a full-time writer and had to work as a teacher and as an assistant in a bookshop. Orwell had been shocked and dismayed by the persecution of socialists in Nazi Germany. Like most socialists, he had been impressed by the way that the Soviet Union had been unaffected by the Great Depression and did not suffer the unemployment that was being endured by the workers under capitalism. However, Orwell was a great believer in democracy and rejected the type of government imposed by Joseph Stalin. As Orwell had been fighting with POUM he was identified as an anti-Stalinist and the NKVD attempted to arrest him. He managed to escape into France on 23rd June. Many of his fellow comrades were not so lucky and were captured and executed. When he arrived back in England he was determined to expose the crimes of Stalin in Spain. However, his left-wing friends in the media, rejected his articles, as they argued it would split and therefore weaken the resistance to fascism in Europe. Orwell was particularly upset by his old friend, Kingsley Martin, the editor of the country's leading socialist journal, The New Statesman, for refusing to publish details of the killing of the anarchists and socialists by the communists in Spain. Left-wing and liberal newspapers such as the Manchester Guardian, News Chronicle and the Daily Worker, as well as the right-wing Daily Mail and The Times, joined in the cover-up. In 1938 Orwell was an isolated figure on the left. He rejected the policies of the Communist Party of Great Britain and the Labour Party. This was partly over the issue of Spain but saw Clement Attlee as a leader of a party that would probably "fling every principle overboard" in order to get power. He therefore joined the very small Independent Labour Party: "It is vitally necessary that there should be in existence some body of people who can be depended on, even in the face of persecution, not to compromise their Socialist principles." (16). Orwell also supported rearmament in order to take on Adolf Hitler in the fight against fascism. In a range of different issues, from anti-communism and his opposition to appeasement, he found himself in the same camp as Winston Churchill and other right-wing political figures in the Conservative Party. The vast majority of those on the left in Britain were sympathetic to the Soviet Union and were willing to do whatever was needed to avoid a war with Nazi Germany. Orwell decided that he was not going to be put off by his unpleasant bed-fellows. He believed the best defence against fascism was democracy. But he feared that the British people, like those in Germany, Italy, Portugal and Spain, would be persuaded to give up their democratic rights in order to be led by dictators. "The radio, press-censorship, standardized education and the secret police have altered everything. Mass-suggestion is a science of the last twenty years, and we do not yet know how successful it will be." (18) This was of course the theme of his later novel, Nineteen Eighty-Four (1949). By John Simkin (john@spartacus-educational.com) © September 1997 (updated June 2016).